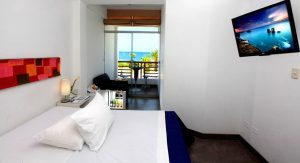 The three-story hotel has 20 modern rooms, they have all been designed to meet strict quality standards as well as the demands of both national and foreign tourists. There are single rooms, double rooms, twin rooms and triple rooms. 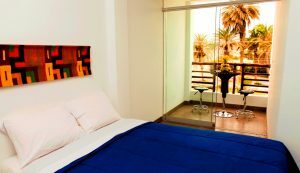 Special care has been given to the details in each of these rooms in order to provide our clients with a relaxing, harmonious and warm experience during their stay. 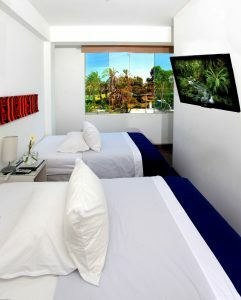 These cozy rooms have a view of the interior of the hotel. 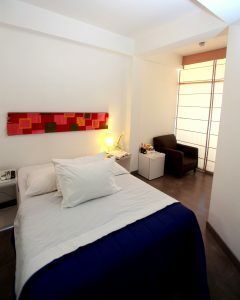 Each room is equipped with its own bathroom with hot-running water, cable TV, telephone with direct national and international dialing, 220v electric current, and wi-fi access. 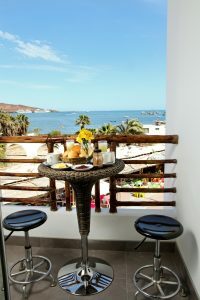 Each of these rooms features a private terrace, its own bathroom with hot-running water, a mini fridge, cable TV, telephone with direct national and international dialing, 220v electric current, and wi-fi access.